How much whine would a wine drinker whine if a wine drinker couldn't..
Wine Me Up and Watch Me Go Sign 16in. x 5in. I'll Never Drink Again!!! Oh Look, Fireball! Wood Sign 18in. Cats And Wine Make Everything Fine Wood Sign 16in. x 5in. 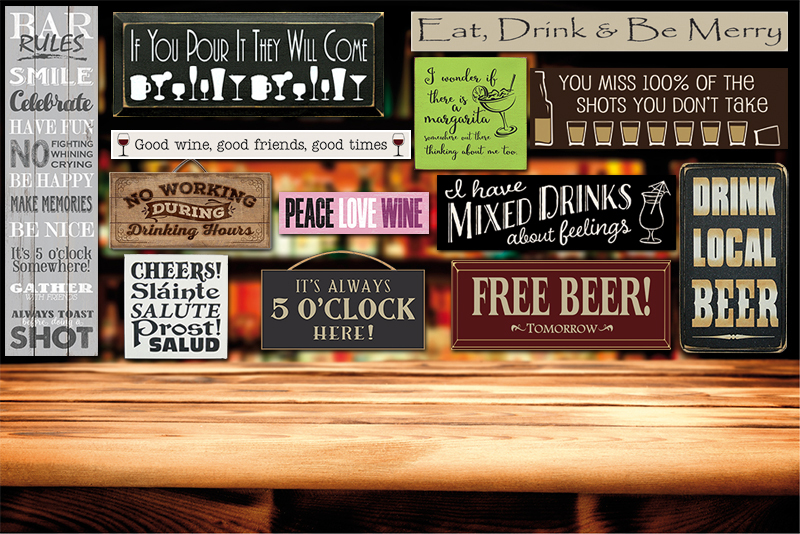 Every Empty Wine Bottle Is Filled With Stories Wood Sign 16in.